A new version of the Flat Responsive Pro theme has been released. Current version v4.2.3 includes the following updates: Changelog: [!] Fixed related product height and width issues [!] Fixed page meta title bug – removed deprecated wp_title() function NOTE: A reminder that if you made any changes to the theme’s files, including the style.css file, these will be overwritten. It’s also recommended you make a copy of your theme and save it somewhere as a backup. A new version of the Lavish Pro theme has been released. Current version v4.1.6 includes the following updates: Changelog: [+] WooCommerce support for gallery zoom, gallery light box and gallery slider Added [+] WooCommerce page template updated to latest NOTE: A reminder that if you made any changes to the theme’s files, including the style.css file, these will be overwritten. It’s also recommended you make a copy of your theme and save it somewhere as a backup. A new version of the Encounters Pro theme has been released. Current version v3.0.1 includes the following updates: Changelog: [+] Added Software License keys and auto-updater integration for easier theme updates NOTE: A reminder that if you made any changes to the theme’s files, including the style.css file, these will be overwritten. It’s also recommended you make a copy of your theme and save it somewhere as a backup. A new version of the Caveat Pro theme has been released. Current version v2.5.1 includes the following updates: Changelog: [+] Added Software License keys and auto-updater integration for easier theme updates NOTE: A reminder that if you made any changes to the theme’s files, including the style.css file, these will be overwritten. It’s also recommended you make a copy of your theme and save it somewhere as a backup. A new version of the Luminescence Pro theme has been released. 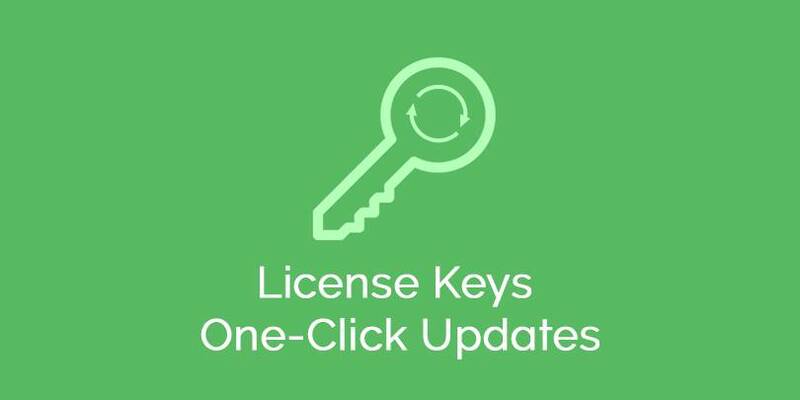 Current version v2.1.0 includes the following updates: Changelog: [+] Added Software License keys and auto-updater integration for easier theme updates NOTE: A reminder that if you made any changes to the theme’s files, including the style.css file, these will be overwritten. It’s also recommended you make a copy of your theme and save it somewhere as a backup. 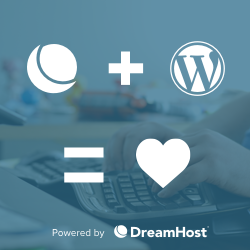 We are proud to present another FREE product for WordPress users. This time it’s a full feature Magazine Theme called Styled Mag. 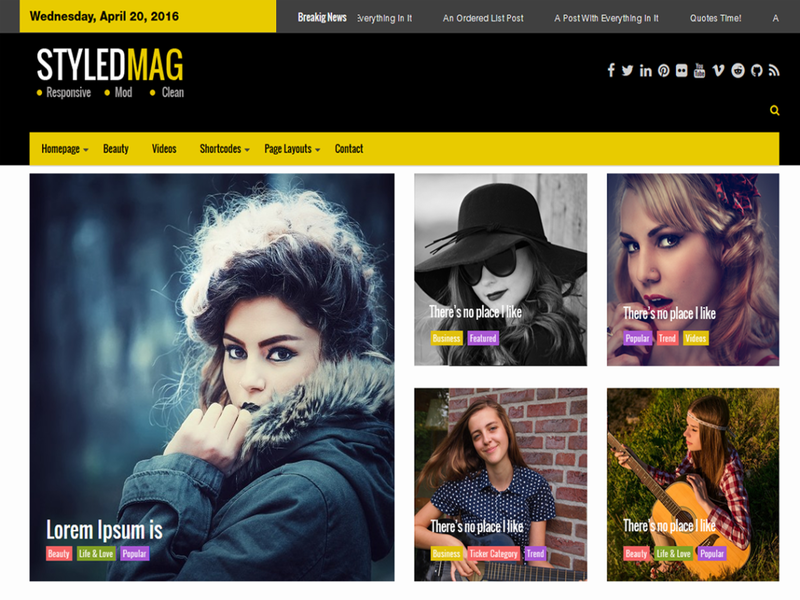 You can download it free here: https://wordpress.org/themes/styled-mag/ In the first 3 days it received 1000 downloads already so we think it’s going to be a popular one. Try it and let us know how you like it! From your valuable feedback we will create a to-do list to include features and adjustments for the next version release. Your ratings and feedback is also much appreciated. A new version of the Sleeky Pro theme has been released. Current version v4.0.5 includes the following updates: Changelog: [+] Added Software License keys and auto-updater integration for easier theme updates NOTE: A reminder that if you made any changes to the theme’s files, including the style.css file, these will be overwritten. It’s also recommended you make a copy of your theme and save it somewhere as a backup. A new version of the Encase Pro theme has been released. Current version v4.0.1 includes the following updates: Changelog: [+] Added Software License keys and auto-updater integration for easier theme updates [*] Fixed small portfolio item alignment bugs [*] Fixed front page blog post section comment display bug [*] Fixed 404 js error in customizer NOTE: A reminder that if you made any changes to the theme’s files, including the style.css file, these will be overwritten. It’s also recommended you make a copy of your theme and save it somewhere as a backup.